Say Happy Birthday and a sweet 16 to someone you love with this spectacular big Sweet 16 Happy Birthday Car Bow ribbon and make their day. This Sweet 16 Happy Birthday Car Bow comes in pink, white, red and black. If someone’s sweet 16 birthday is coming up and you’re planning a really special gift for them, make sure you present it properly with this stunning Sweet 16 Happy Birthday JumBow Car Bow. Not only will it make your gift look even more special, but the soft and durable vinyl can be used in all weathers, and the magnetic car bow will not leave any scratches or marks. 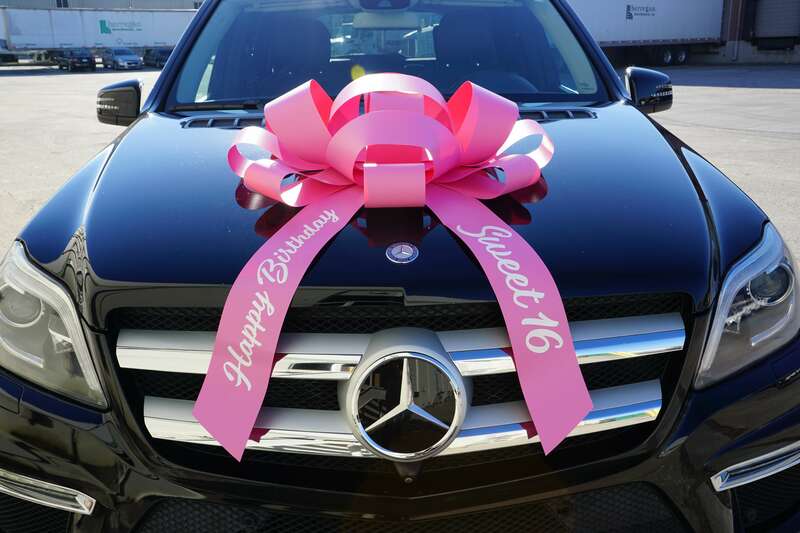 Present your special sweet 16 birthday gift in style with the Sweet 16 Happy Birthday Car Bow. Interested in our other products? We carry custom flags and custom large bows too!